December has been a whirlwind of celebrations and emotions for us. I'm still in denial that next week, Bubs will officially be a primary school kid already! Where did that chubby newborn that refused to sleep through the night go to? 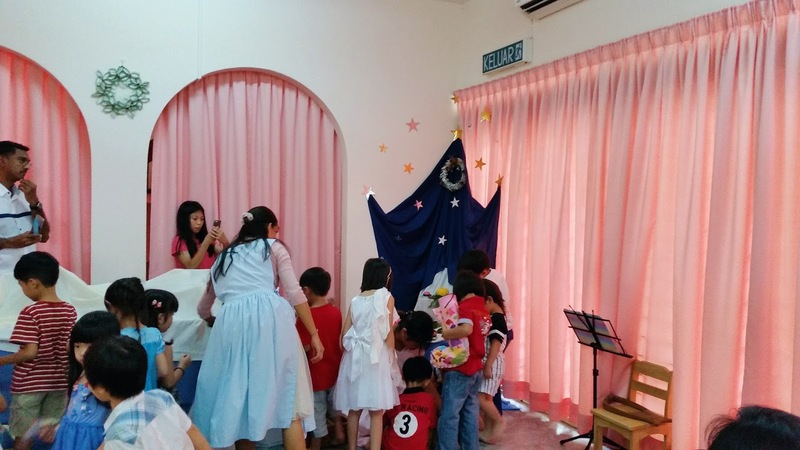 Bub's Xmas Festival at school was a bittersweet one. He was so proud and eager to show us his speech, songs and dances, but at the same time, it was the last day of school so he wasn't looking forward to that either. 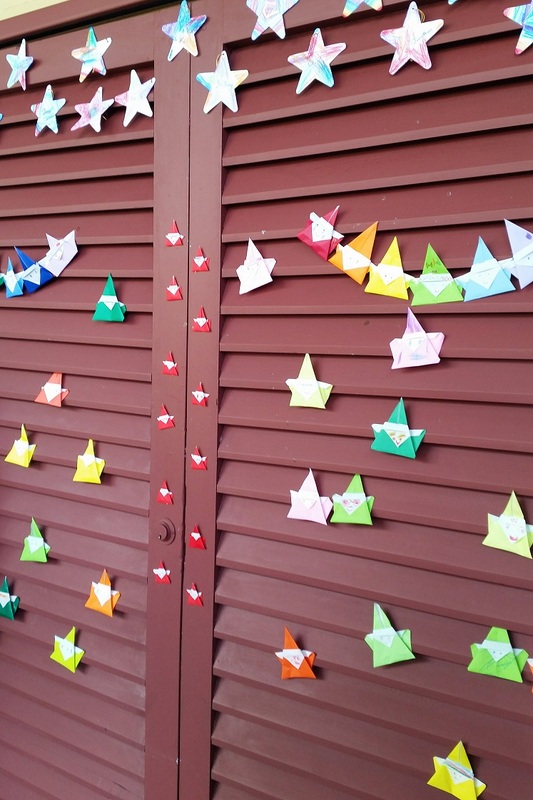 As usual, the parents were greeted with colourful Santa origami and crayon-coloured paper stars that each child made. Thankfully the weather was clear and we were able to have morning tea outside. The children baked the butter cookies themselves earlier and this was Hub's favourite. 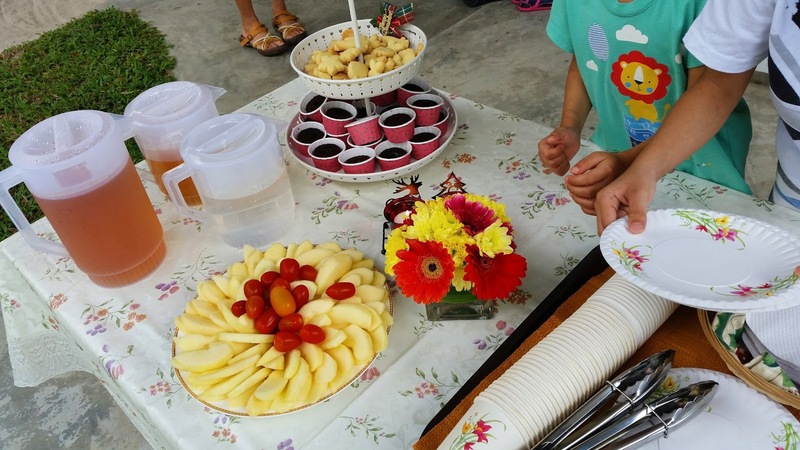 The parents chatted together about the activities, primary schools, worries and traded cherished stories about what the children did playing together. We were so proud of Bubs :) He performed beautifully even though there were a couple of times where his shoulders tensed up and you could see a determinedly stoic look on his face when he held back tears. Little confession: I was nearly in tears myself at this point, haha! Each child brought back a stocking stuffed to the brim with artwork and a tiny origami ornament. 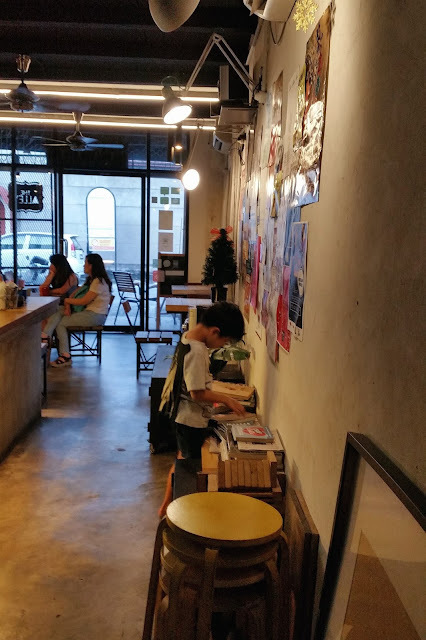 To celebrate this transition from small boy school to big boy school, we revisited one of our favourite cafes: the Alley. Bubs was flipping through the reading selection at the side. 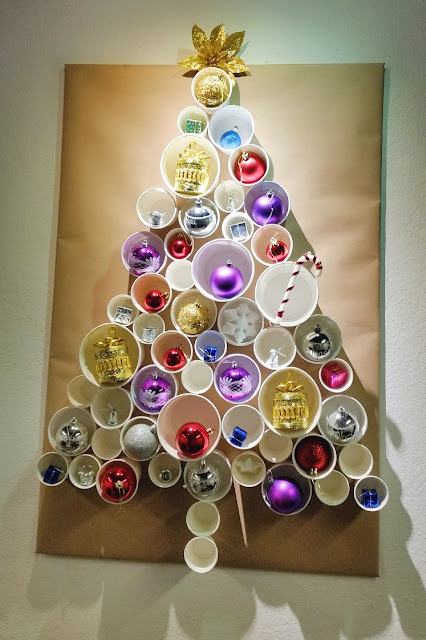 No place for a tree? This is an ingenious way to still add a festive touch. 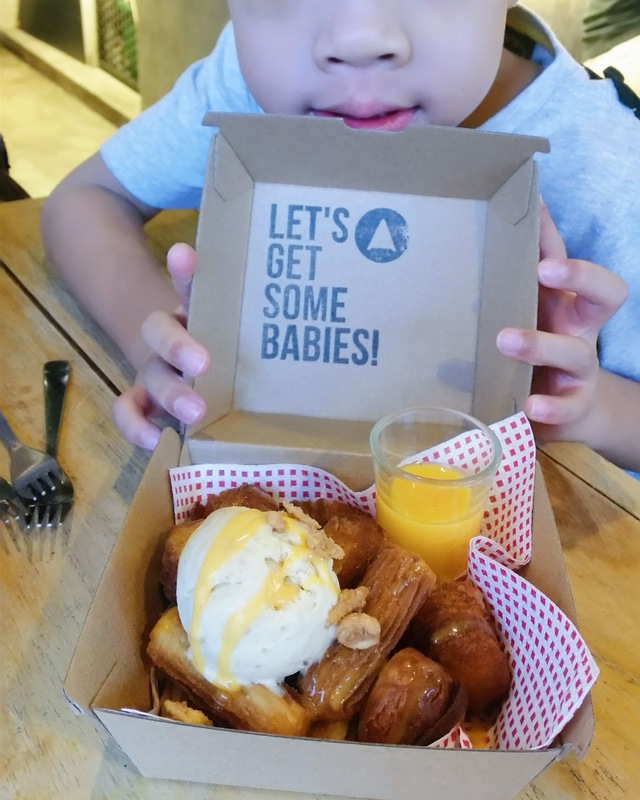 The best cronuts and churros in town served with a generous scoop of home made ice cream and salted egg dip (RM18) which is slightly on the pricey side but soooo good and worth every single cent. Glam Girl was generous in gifting Bubs a couple of tickets to the Gurney Paragon indoor playground. which he thoroughly enjoyed. 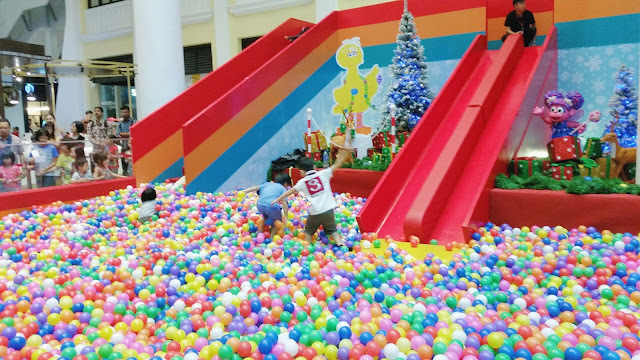 The biggest hit was the ginormous slides that lead to a pit filled with gazillions of rainbow coloured balls. Bubs was so enthralled, he even dove straight into the balls and swam with them!